Peanut Butter Whoopie Pies. 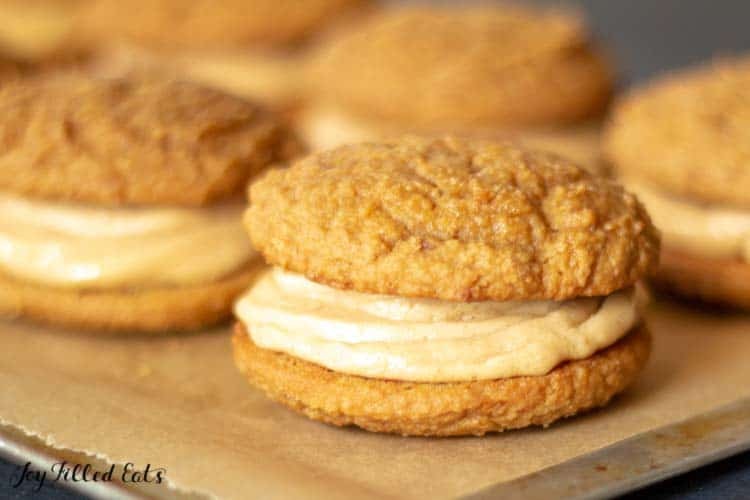 Two tender cakey cookies sandwiched with peanut butter buttercream frosting. These are so good you will never be able to tell they are low carb or sugar free. I grew up visiting the Pennsylvania Dutch Country as a child. Whoopie Pies are a classic dessert among the Pennsylvania Amish. They’ve become more popular in recent years and I’ve seen them pop up all over the place. Last night I went out to dinner with a few of my girlfriends from college. 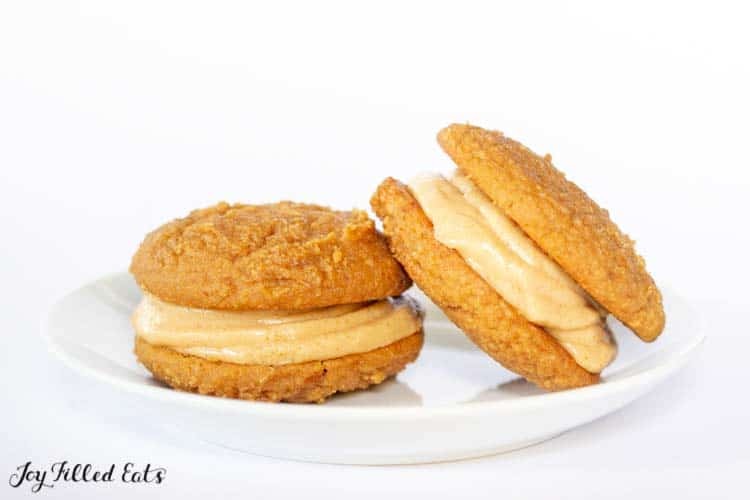 I had some of these Peanut Butter Whoopie Pies waiting in the car in a lunch bag with ice packs. After dinner, we moseyed over to Starbucks for coffee and I whipped out my whoopie pies for dessert. A chorus of “Tar, these are really good!” ensued. I may have blushed a little. I skipped over the traditional chocolate version and went straight to peanut butter. And I don’t regret it one bit. Wherever they came from they are delicious. The first whoopie pie I clearly remember eating was in New Hampshire at a cute little country store while visiting my husband’s aunt. That was chocolate with marshmallow filling. Yum! How to Make a Whoopie Pie? Whoopie Pies are very easy to make. They are made from a thick, cakey batter that produces big soft cookies. My trick is using a cookie scoop to keep them a uniform size. This makes finding a pair that match much easier. Once you mix up the batter, just scoop the cookies and bake. Next, mix up the filling. Cool the cookies, add some filling, and give them a top. Done! Love Peanut Butter everything? 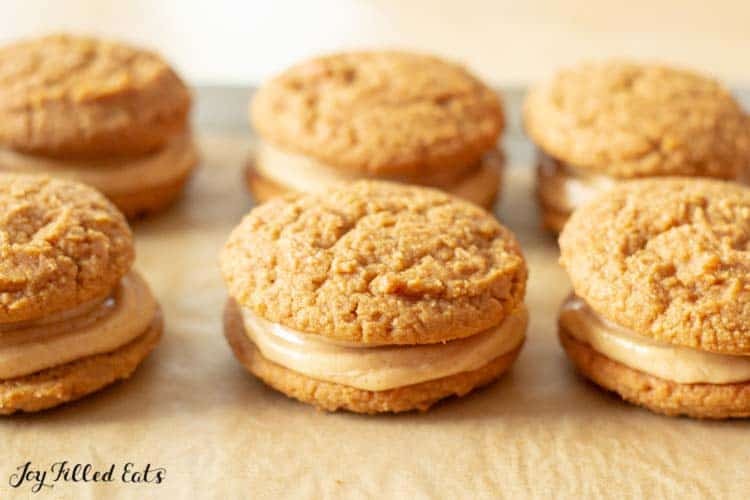 Here are some more Low Carb Peanut Butter Desserts! Peanut Butter Whoopie Pies. 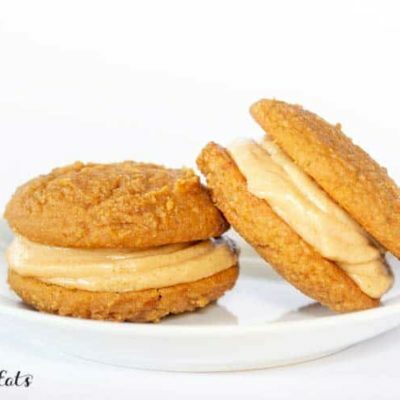 Two tender cakey cookies sandwiched with peanut butter buttercream frosting. These are so good you will never be able to tell they are low carb or grain free. Cream together the butter and sweetener with an electric mixer. Add in the rest of the ingredients and mix until smooth. 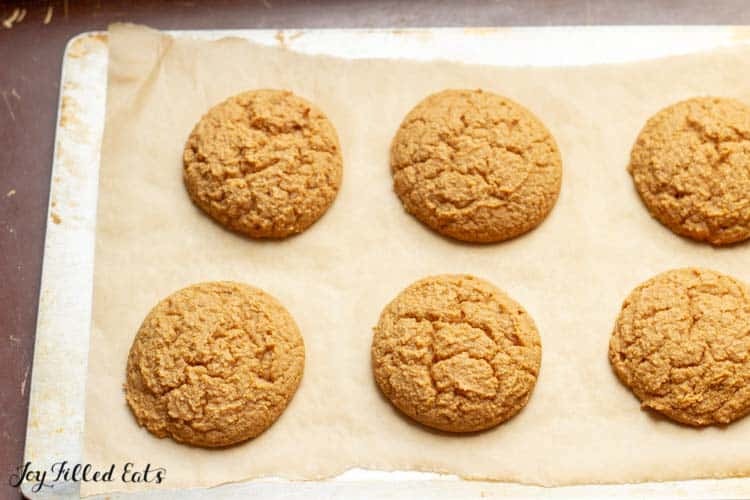 Using a large cookie scoop drop 16 blobs of dough onto parchment lined baking sheets. Bake for 25-27 minutes until the whoopie pies feel firm to the touch and spring back when lightly pressed. Cool completely. While they are cooling you can make the filling. Cream together the butter, cream cheese, and sweetener. 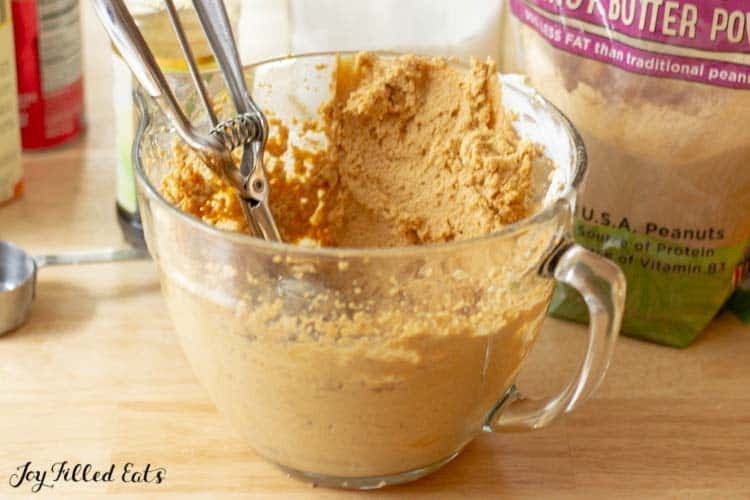 Mix in the peanut butter powder and vanilla until smooth. To fill the whoopie pies flip half of them upside down. Spoon or pipe the frosting evenly between them. Top with a second cookie. Store in the fridge. Originally Published September 21, 2016. Revised and Republished March 15, 2019. 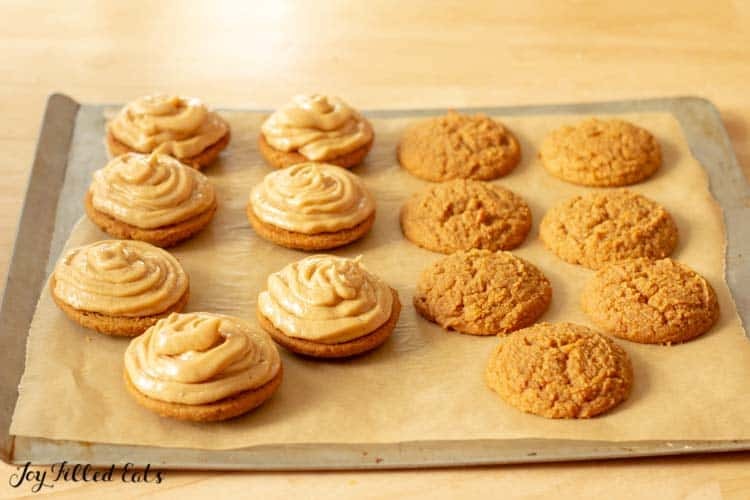 I want to try making these but I want to try to make my own peanut flour. Can I do this with regular salted peanuts? Some of these ingredients are so expensive. I would rather use the stuff I have on hand. Thank you! You can try but they press the oil out of peanut flour to make it drier. It might be too wet if you grind it yourself. Also, I'd try with unsalted peanuts or the cookies may end up too salty. Be careful when grinding the peanuts to stop as soon as they are finely chopped or you'll end up with peanut butter. Anything peanut butter sounds like a good idea to me. Can't wait to try! Can I use almond flour instead of coconut ? Yes, but you will need a little more. I would try using 3/4 of a cup. If it looks too wet add more almond flour by the tablespoon until it looks like my photos. These Whoopie pies were fantastic! 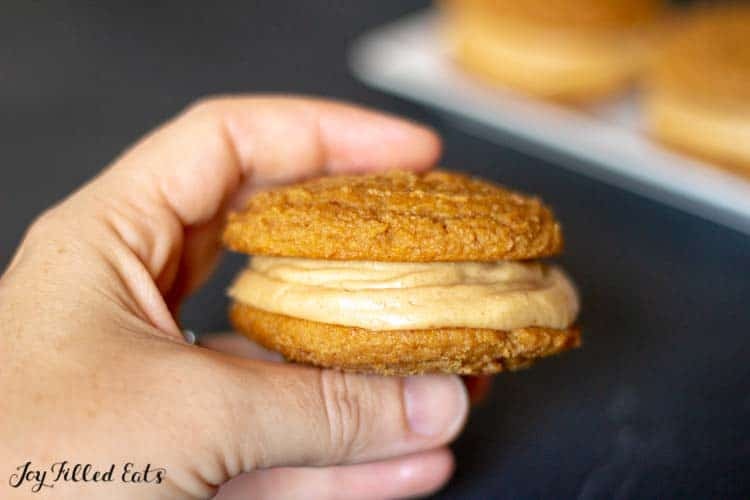 They satisfy my peanut butter craving and were simple to make. Is PB Fit Peanut Butter Powder the same thing? Yes. As long as it doesn't have added sugar. Can you use peanut butter instead of powder? Why are using powder is it better? Lower carbs? No, you can't just sub peanut butter. Peanut powder is more like a flour. It works differently in baked goods. Butter sticks come in different sizes. How many ounces? I just went to iherb and ordered the sweetner recipe. I hope it works. I hate stevia because of the bitter taste, but hopeful this combination will be worth the price. If I used any THM sweetener would it still be 1/2 cup? It depends on the sweetener. 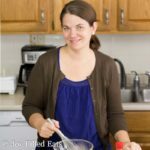 There is a conversion chart on the trim healthy mama website that is helpful. 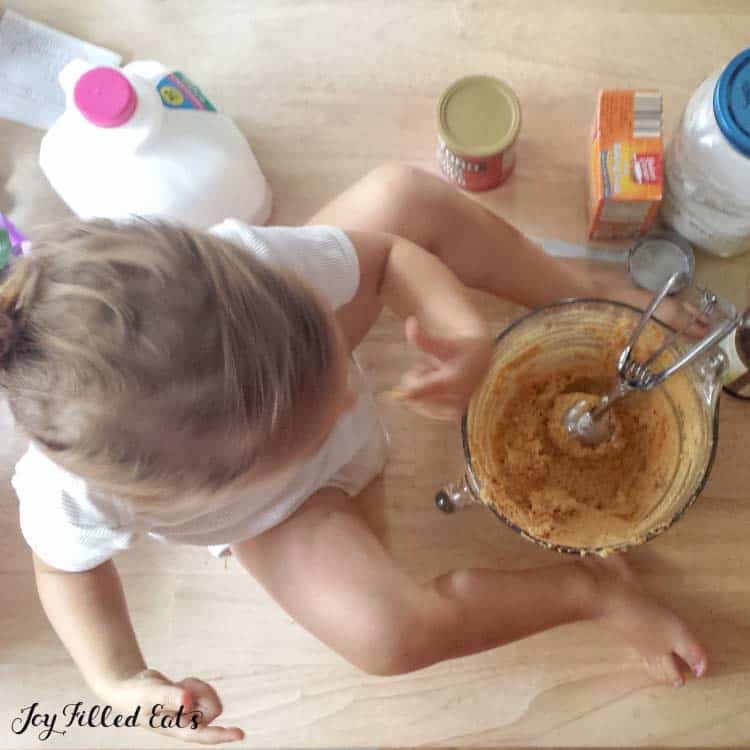 Would Peanut Butter Flour substitute for the Peanut Butter Powder? Made these last night using Santa Cruz Organics Peanut Powder instead of Honeyville Powdered Peanut Butter and they were absolutely delish. I wanted them all to be the same size so I weighed everything. It worked out to 38g per dough ball with 30g of filling per "sandwich". I used smooth peanut butter for the filling instead of powder for a more peanut taste. Highly recommended! Oh My Goodness! Week 3 of my Keto Diet and I was getting dessert grumpy UNTIL I made these AMAZING whoopie pies. Mine were minis (16 instead of 8). My grown daughter caught me eating one and said "You can't have those on your diet." and promptly popped one in her mouth. She couldn't tell they were low carb! These were very good...one of the best low carb desserts I've made. Oh wow! these are calling to me! Must make these! You made these look so beautiful you could sell them in any deli! These are totally on the to make-list. I love peanut flour (and whoopie pies). These cookies look totally legit! Thanks for the delicious recipe!